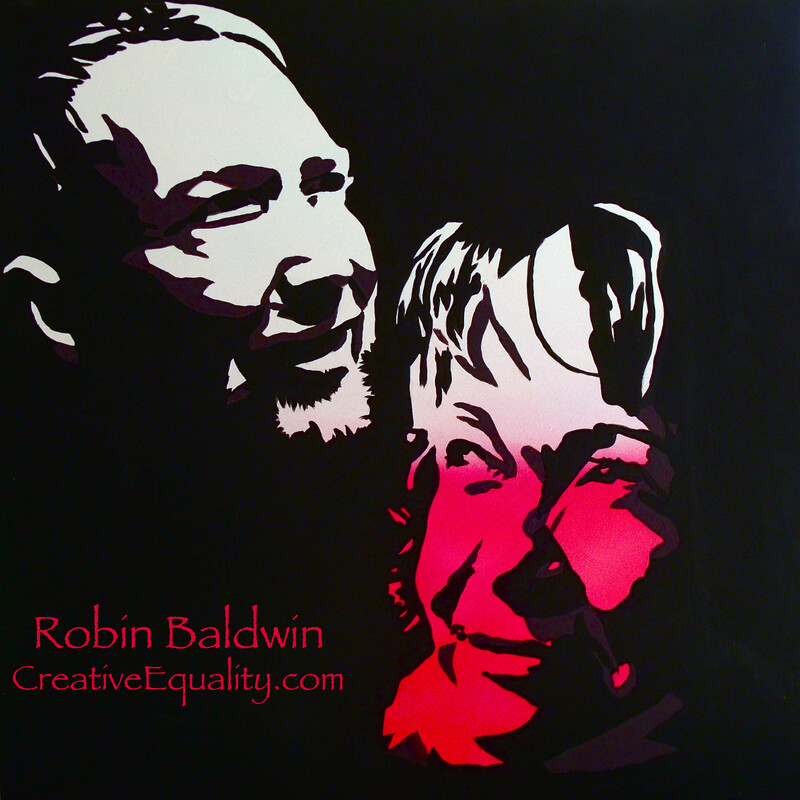 The post below is from Robin Baldwin, of Creative Freedom. My "Inspiration Series" of paintings is definitely a personal favorite. This is a collection of portraits to honor the public figures that have most influenced and shaped the way I think about life, social issues and love. The series includes portraits of Musician/Singer India Arie, Blessed Mother Teresa, Mahatma Gandhi, and Scholar/Activist Dr. Cornel West. I believe each of these individuals live/d with honor and most of all with a purpose to serve others. Their philosophies preach love and selflessness and provide examples of peaceful societal problem solving. 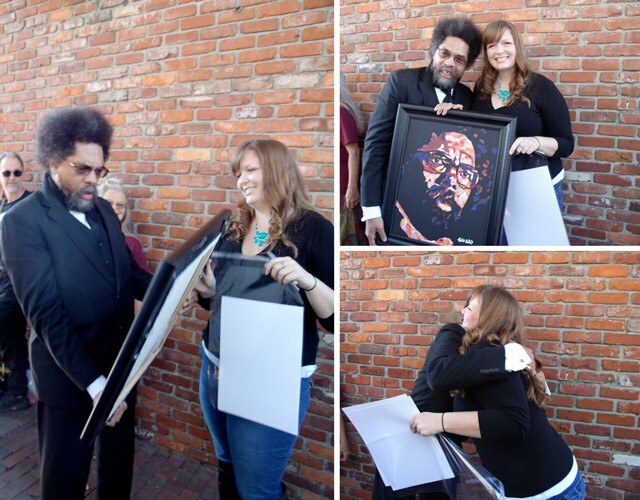 So you can imagine what an amazing experience it was when I had the opportunity to actually meet Dr. Cornel West and present him with his portrait. Cornel West & Tavis Smiley have been traveling the country on The Poverty Tour: A Call to Consciousness. The mission of the tour is "to highlight the plight of the poor people of all races, colors, and creeds so they will not be forgotten, ignored, or rendered invisible during this difficult and dangerous time of economic deprivation and political cowardice." They scheduled a stop at my Alma mater, the University of Florida. Dr. West was scheduled to meet with the "Occupy Gainesville" participants for a rally against corporate greed. When I arrived to the rally, portrait in hand, many news reporters asked for interviews and information about my painting. Though he was very busy speaking to individuals attending the rally, one of Dr. West's employees pulled me to the side and introduced me to him so I could present the painting. As I gave him the portrait I explained how important his influence has been on me as I move forward in my passion to reform public education in the US to close the racial achievement gap. He was very loving and took time to talk to me about my aspirations and motivated me to stay strong and continue to nurture myself creatively. I was also flattered by his reaction to my portrait, which he truly seemed touched by. Hours later, after the rally was coming to a close, Dr. West found me again amongst the hundreds of people to hug and thank me again for my gift. Partnered with each piece in the Inspiration Series is a favorite quote from the subject. Dr. West's portrait is always partnered with his quote, "Justice is what love looks like in public", which I think perfectly sums up why he dedicates his life to others. I attempt to live my life with a similar motto. Born in Dublin 1971, Morgan Ferriter was raised in Donegal in the Northwest of Ireland, where he lives and works today. The subjects of his paintings are the Irish landscape, and street scenes of Galway City. 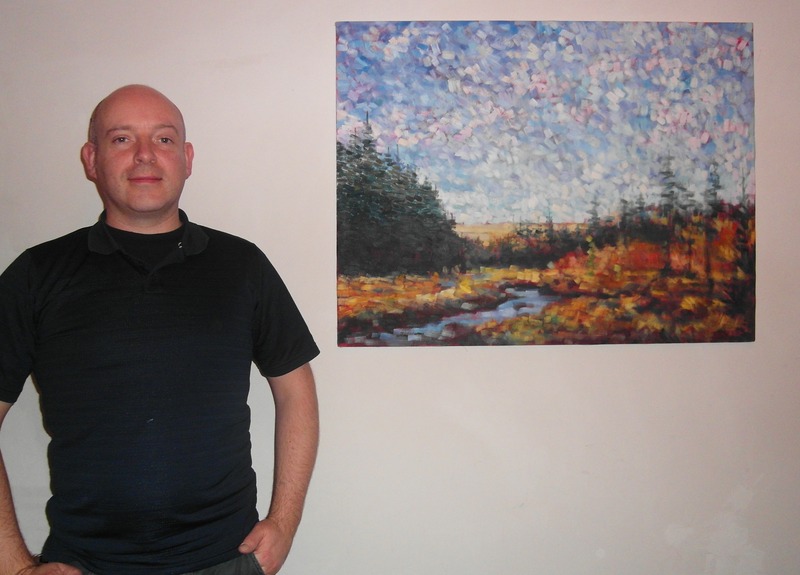 He has also painted extensively in Canada and has exhibited there since 2002. 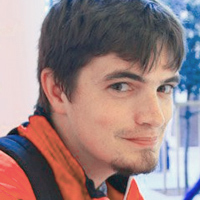 Morgan is also a keen musician and has played with many different bands in the last 20 years. Visit http://morganferriter.com/ for his work! The following is a message from Robin Baldwin, who will be one of our featured artists at the Ferriter Art Exhibition during our 2012 Gathering in Dingle, Ireland. Hello Family! My Ferriter roots begin with my beloved maternal grandmother, Maxine Ferriter. She always proudly told us stories about her travels to Ireland and instilled a love of Irish culture to all of her children and grandchildren. 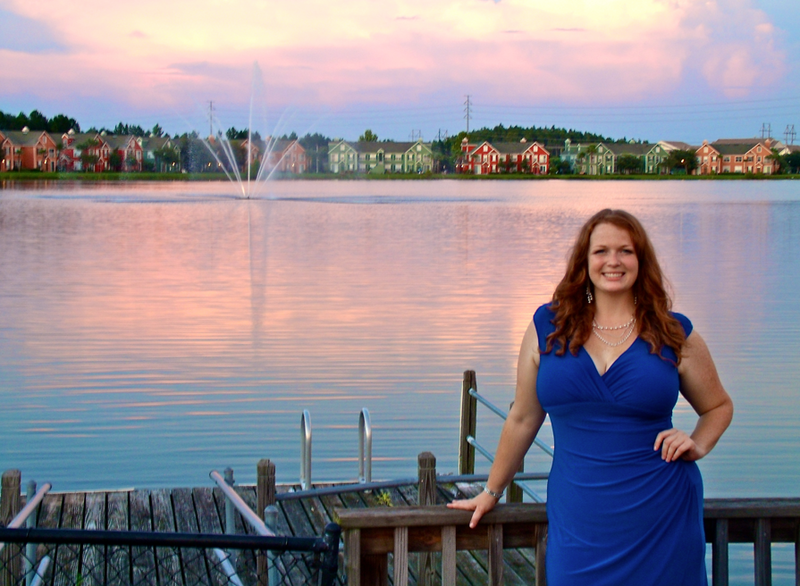 I cannot wait to experience the setting of all of her tales this coming April at the Ferriter Family Gathering! I am also very excited to have the opportunity to showcase some of my artwork at the reunion art show! Creativity has always been an outlet for me and so I have been painting and drawing my entire life. Though I am an educator and community developer by profession, I have always been an artist in private. Just last year I decided to take my artwork from private to public, as I started my company Creative Equality. Creative Equality was born on the idea that we should ALL nurture and share our creative talents. Doing this leads to increased creative approaches to social problems and also utilizes our artistic voices to impact and influence growing masses of people through our creations. 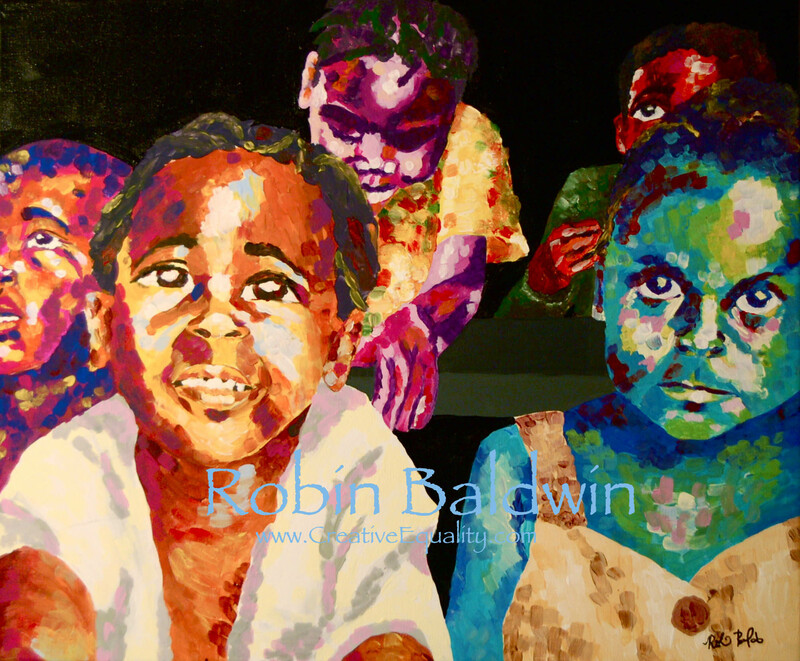 My artwork is strongly influenced by my passion for people, community development and travel. The subjects reflect the people and places that have impacted me during my travels and on an everyday basis. As the reunion draws closer, I am focusing my paintings more on my heritage and am excited to do a couple of pieces specifically for our upcoming gathering. You can find examples of my work at www.CreativeEquality.com. I cannot wait to meet all of you and be inspired by your stories. We are so blessed to be able to learn our shared history and connect with one another. I am really thankful!